Is More Meat Being Eaten Globally? Contradictory reports on meat eating habits either side of the Atlantic have been published recently. While in the UK a survey found that more people are considering reducing meat consumption in the US another study has revealed that the majority of theose who adopt a vegetarian diet return to eating meat. A YouGov survey of the British public commissioned by the Eating Better alliance and Friends of the Earth found around one in three people (35 per cent) say they are willing to consider eating less meat, with one in five (20 per cent) saying they have already cut back on the amount of meat they eat over the last year. Only five per cent say they are eating more. The findings are published in Eating Better’s new report: Let’s talk about meat: changing dietary behaviour for the 21st century published last week. This report concludes that despite strong evidence of the benefits for health and climate change as well as public willingness to eat less meat, their efforts are unsupported by governments and most food companies. The Eating Better report identifies ten potential drivers for motivating behaviour change towards more plant-based diets and ‘less and better’ meat eating. However, in the US, just one in five people, who become vegetarians or vegans, maintains the diet. According to a Harris Interactive survey for the Humane Research Council this means that 84 per cent of vegetarians or vegans revert back to eating meat or other animal products. Janet Riley, senior vice president of public affairs at the American Meat Institute said: “This new data shows what we’ve known intuitively. Meat and poultry are irresistible for their taste and nutrition. The reports come at a time when global market data shows a rise in meat production. World meat production is set to show modest growth in 2014 on the back of growing demand, with a similar rise forecast for next year, according to findings from the annual GIRA meat conference. World meat production is set to increase by just below one per cent this year to reach 269.9 million tonnes, driven mainly by increased poultry and pig meat production. Looking towards 2015, a further modest increase of 1.3 per cent in production is forecast to reach 273.3 million tonnes. Bumper harvests in both the northern and southern hemispheres have seen feed costs decrease, which has helped production levels. Meanwhile, a new book by Howard J Swatland, Eating Meat: Science & Consumption Culture, cuts through some of the myths surrounding meat culture and looks at the essential facts surrounding meat that make it a product that is loved and consumed by millions. This new look at eating meat takes a very personal viewpoint on the issue, while at the same time setting out the science behind the product, the do’s and don’ts in meat handling and butchering and the essential facts behind a good cut of meat. The book looks at red meat sources from farm animals to game and looks at welfare concerns for the animals as well as the conversion of muscle into a meat product. 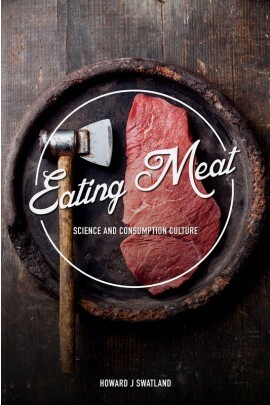 Eating Meat: Science and Consumption Culture takes a new look at eating meat from the personal viewpoint of a meat aficionado with an international reputation in teaching and research. Why are Vegetarians Returning to Eating Meat? One in five people in the US, who become vegetarians or vegans, maintains the diet. Protein uptake is set to climb more rapidly in Africa, while Australians are eating ever more chicken, according to industry analyst, Terry Evans, in the final part of his review of the chicken industries in Africa and Oceania. Resting of modified atmosphere packed (MAP) beef steaks before cooking has a beneficial effect on consumer quality. Broiler growers may be looking at this paw (foot pad) situation all wrong, according to Tom Tabler (Extension Professor), Morgan Farnell (Associate Professor) and Jessica Wells (Extension Instructor, Poultry Science), all at Mississippi State University. US - Implications of US–EU free trade negotiations on animal agriculture are set to be discussed at the 2015 International Production & Processing Expo (IPPE). US - The 2015 International Production & Processing Expo (IPPE) will feature the documentary, 'Farmland'. Are We Falling Out of Love with Meat?